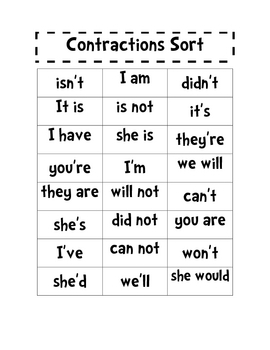 This contains two contraction word sorts for students to differentiate between the two words and the contraction that you make with the two words. 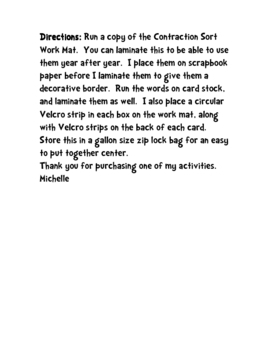 I usually laminate the work mat, and put it on scrapbook paper. 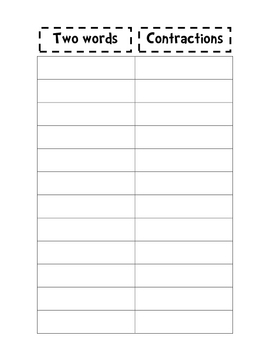 You can use this over and over again, or as a center.